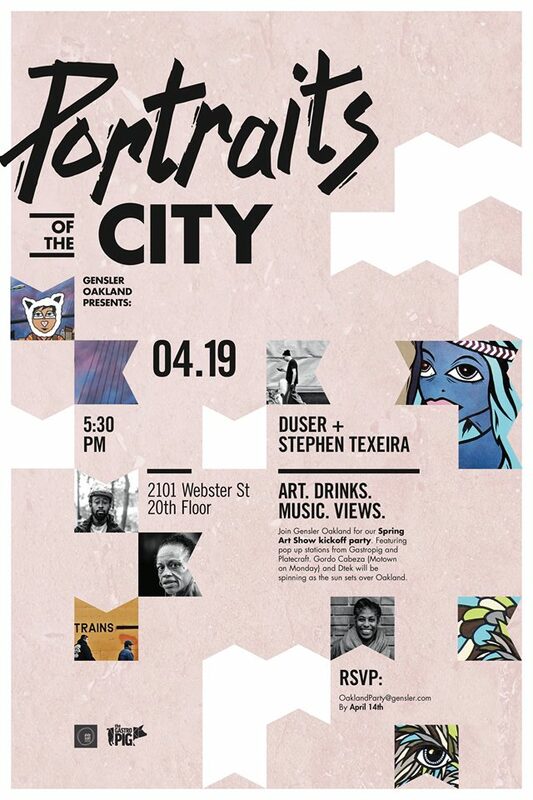 Previous and Upcoming Events comprised of both solo and group shows as well as Live painting performances. 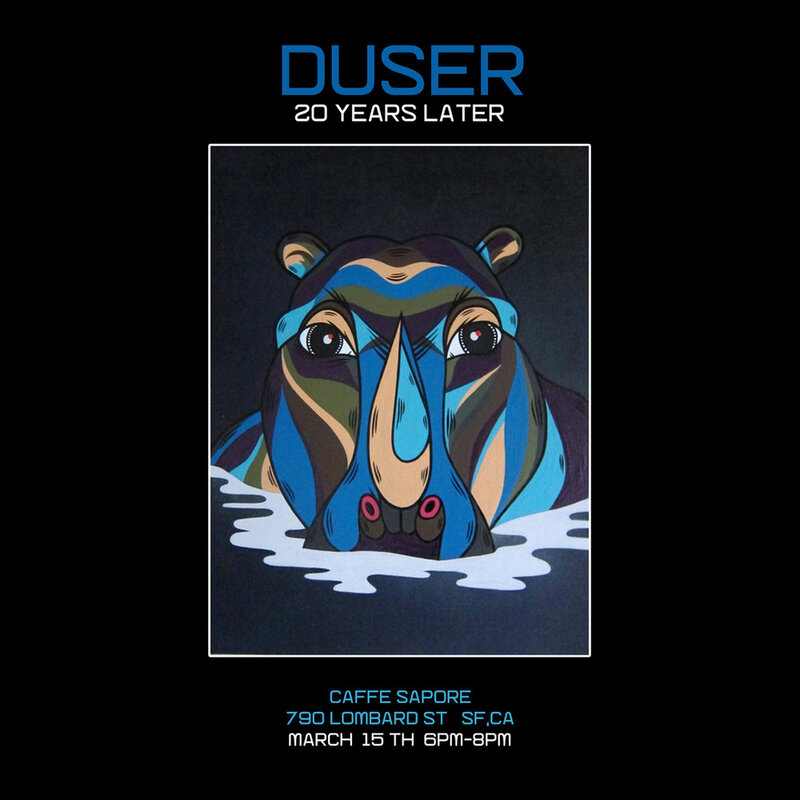 Duser “20 Year’s Later” solo exhibition at Caffe Sapore. 790 Lombard St in San Franciso, CA. March 15th 6pm-8pm. Catering by Elias Bikahi. 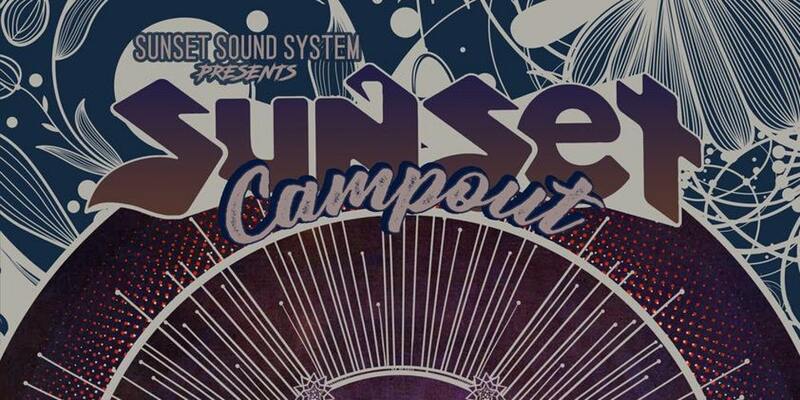 Soundtrack by DJames ExitwestSf. 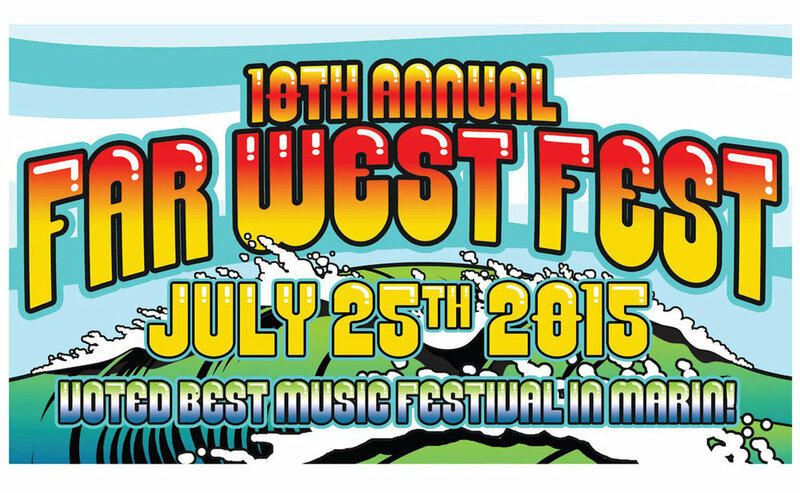 Live Painting during 3 day Festical featuring musical acts Galen, Solar, Greg Wilson, DJ M3, JP Soul and many more.